The national flag and ensign of the Republic of Korea (South Korea's official name), it's been adopted a few times. January 27, 1883 it was adopted by the Korean Empire and then after Japanese Occupation and a couple of world wars it was adopted again with August 15th, 1948 upon the foundation of the Republic of Korea and an updated version was adopted in October 1997. What's the 4-1-1 on this flag? Well, the background is white, which is a traditional Korean color that represents peace and purity. The yin-yang in the center represents the balance of the universe. The blue half stands for the negative cosmic forces and the red for the opposing positive forces. Adopted on September 8th, 1948 (hey, that's exactly... 35 years before I was born. To the day. Weird.) 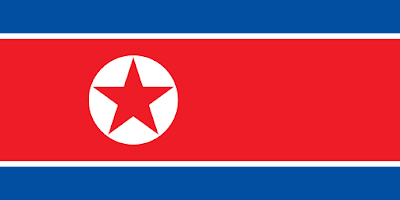 the flag of North Korea is officially described in article 170 of Chapter VII of the Socialist Constitution of the Democratic People's Republic of Korea. The flag breaks down exactly like you'd expect it too: the red star is a universal symbol of communism and socialism and stands for revolutionary traditions. The blue stripes are sovereignty, peace and friendship and the white stripes stand for purity. The red color of the flag symbolizes the anti-Japanese fervor, the red blood shed by the Korean patriots and the invincible might of our people firmly united to support the Republic. The white color symbolizes the one bloodline, one land, one language, one culture of our monoethnic country, which lived in purity. And blue stands for the gallant visage of our people, symbolizing the spirits of the Korean people fighting for world peace and progress. From a design standpoint, I can see the appeal of North Korea's flag. It's clean, it's simple, it knows what it's about- (revolution, socialism, etc), but South Korea focuses you right on the center of things with the yin-yang. 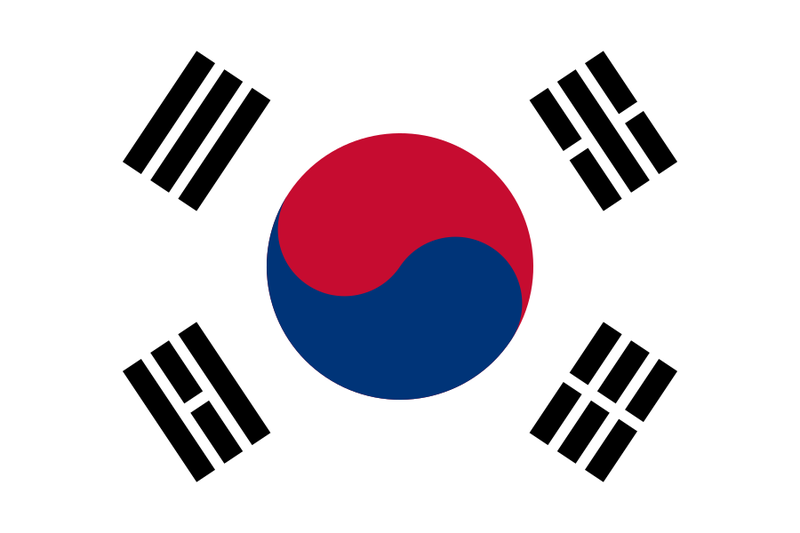 The fact that they use a white background means that your eye is drawn to where the color is- and the trigrams arranged around the yin-yang only provide more of a central focus to the overall design which to me, makes South Korea the more interesting flag- especially once you get into the trigrams and their meanings. But there you go- a timely look at the flags of both Koreas!